In 1978 an East Indian grocery store shut its doors at 877 Westminster, while the newly founded Harvest Collective was searching for a storefront to call home. In the more than 30 years since there have been several different owners of the store, but all have shared one common goal: the distribution of food that matters. During the 1960’s and 1970’s a new interest in food began to grow. Across North America, an enthusiasm for gardening, preserving food, and healthy living was re-emerging. Networks to facilitate the distribution of these foods slowly developed. Several national organizations had appeared to distribute healthy foods across the continent. Winnipeg was no exception. Yet outside of growing our own food few options existed for accessing whole, organic, fair trade or local foods. If anyone wanted food beyond what was on offer at the local grocery store they had to do it on their own. As a result, the 1970’s saw a small group start a food buying club with numerous families making large food orders together in order to meet the requirement to have food shipped in from warehouses further west. At that time there were no ‘health food stores’ of any kind in Winnipeg and local foods were only available in the summer. Interest in the group grew quickly and by the mid-70’s a food buying club called Agassiz Food Co-op was operating out of the IDEA Center on Wardlaw in Ft. Rouge. The members would order food directly from suppliers so that they had access to whole foods at a reasonable price. It was very successful soon grew too big to be practical in that location. The group received a small grant to hire someone to look into the feasibility of opening up a storefront consumer co-op: a business owned by its customers for their collective benefit. Over 50 people attended the founding meeting of Harvest Collective, held on March 12th, 1978 at Riverview United Church. Harvest began with 100 member shares, with each share worth $10. Each member was expected to contribute 4 hours of work each month in order to buy their food from the store at a discount. The operations of the store would be overseen by a volunteer board of directors, and several planning committees. Harvest Collective was incorporated as a consumer co-op. Consumer co-ops are enterprises owned by consumers and managed democratically to fulfill the needs and aspirations of their members. 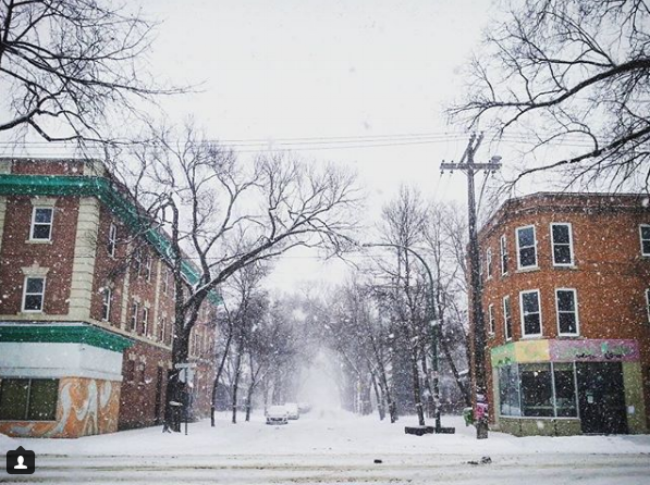 The Collective began looking for a suitable storefront, focusing on the neighbourhoods of Fort Rouge, South Osborne, or Wolseley. They looked at the location at 877 Westminster, but unfortunately it had been rented out just a few hours before; However the next day they received a call from the owner, the deal had fallen through and the owner was willing to provide his equipment if Harvest took over the lease. Harvest Collective officially opened its doors for business three days a week in the spring of 1978. Throughout our history, the shop was always oriented towards ‘natural foods’ and organics if possible with a strong support for local producers. There were always progressive food politics as part of Harvest, as well as an active food education and newsletter group. There was always a strong community building aspect with Harvest Collective. This attracted other local shops such as Prairie Sky, at the time Wheat Song Bakery, Harmony Foods, Harmony Community Fund and the New Age Community Centre (later named Chautauqua Learning Community) with Westminster Street Festival, Tall Grass and Green Earth coming later. ~Paul Chorney, member, core organizer of Harvest Collective. Harvest Collective was running very successfully but its growing pains were obvious in the recurrence of two fundamental questions. These were whether or not the store should have paid staff and whether or not the store should be open to the public. Opening to the public (non-members) was a chance for the store to make some money by selling the food to people at full price, instead of the discount members received. However, it also meant opening up a small and tightly knit community, and people were unsure of what the social cost of that would be. Eventually, in 1980 a paid co-ordinator was hired and the store was opened up to the general public. While this increased the accessibility of the store, since it was selling more food and open longer hours, it also contributed to the steady decline of volunteerism within the membership. By the 1990’s Harvest Collective had grown considerably from its small beginnings. By that point a second co-op called Sunflower was running in the city, on Corydon Ave, Sunflower was subsequently purchased by Harvest Collective. By this point, both stores were fully staffed with paid workers and while membership was still high, there was little member participation in the day to day running of the store. The move to having a paid manager was one of the biggest changes that came early, later as volunteer resources became less reliable additional staff had to be added to maintain the workload necessary for keeping the store running. When Harvest extended itself to a second store on Corydon Avenue, this may have resulted in too high an overhead to maintain the organization. ~Dean Isensee, volunteer, board member, first paid co-ordinator. By the late 1990’s Harvest was having serious financial and logistical difficulties, and in 1999, after 21 years in operation, Harvest declared bankruptcy and closed its doors. The assets of Harvest Collectives were purchased and the stores re-opened under the name Organza Foods, as a private for-profit business, by one of Harvest’s former members Gerry Dickson. Organza expanded the services of the store to include a small deli counter and juice bar. In 2002 the store at 877 Westminster had a fire and Organza decided to close down the Westminster location rather than rebuild. After Harvest Collective closed down in 1999, one of the produce managers, Laine Hoogstraten, opened a small organic and whole food store just down the street on Westminster called Organic Planet. When Organza moved out of the storefront on Westminster, Laine decided to renovate the location to expand her business. However, after leasing the store and completing most of the renovations Organic Planet went out of business before it could make the move into 877 Westminster. Fortunately several of the staff who had been working at Organic Planet had a better idea, they wanted to continue running the store, out of the ‘new’ location at 877 Westminster, as a worker co-op. The staff at Organic Planet contacted Russ Rothney, the Community Development Officer at Assiniboine Credit Union, looking for help. Assiniboine had been responsible for financing and also for providing financial guidance at Harvest Collective. The two workers who wanted to move the store forward contacted others looking for people to join them in resurrecting the store; they eventually teamed up with one former Mondragon Collective member, one former Harvest Collective employee and one of the original West Broadway Community Gardeners. The five founding members of Organic Planet Worker Co-op then underwent a crash course in opening a business on a deadline. While Assiniboine Credit Union was supportive of the idea, they required a business plan and some outside funding before they would agree to provide loans to the business. With the help of the local Community Economic Development Corporation, SEED Winnipeg, a solid business plan was written, as were the by-laws necessary for establishing a co-op. The Jubilee Fund agreed to guarantee some of the loans, and the Canadian Worker Co-op Federation also agreed to provide some additional loans. In the spring of 2003, the location at 877 Westminster once again opened its doors as the newly founded Organic Planet Worker Co-op. There are many different ways a worker co-op can be run, the only requirement is that ownership and democratic control rests with the workers. The staff at Organic Planet Worker Co-op choose to run the store as democratically as possible. Each share is worth $1000 and a one year probation period is required before new staff becomes full co-op members. Decisions are made jointly by the whole staff at meetings, allowing all workers to have a say in the decisions that affect their lives. The co-op’s assets are collectively owned and any surplus earnings are re-invested in the business or allocated to the workers according to policies established by the co-op. In its incarnations as both a consumer co-op and a worker co-op (Harvest Collective and Organic Planet), the business has reflected its members’ rejection of a food and economic system based on profit, and choose a system based on the equitable collective action to meet people’s needs. 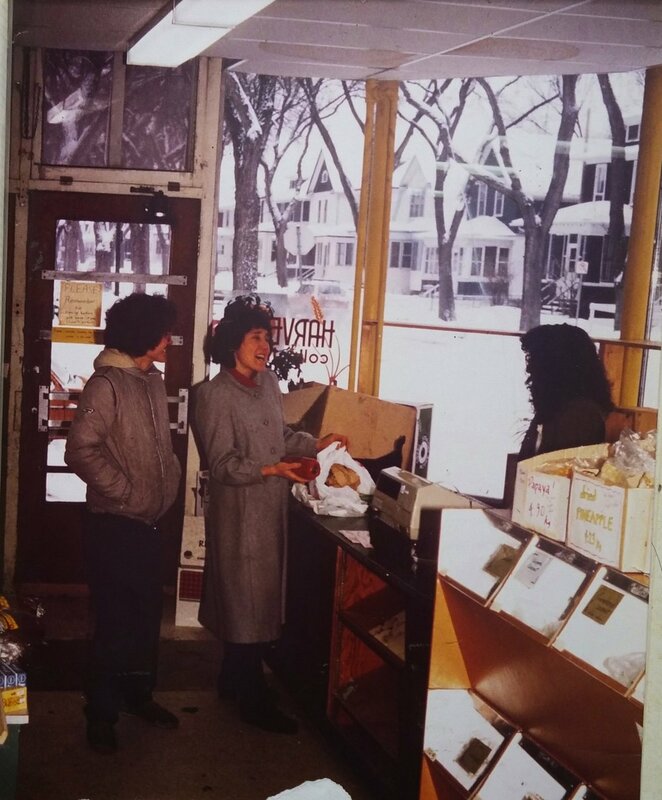 877 Westminster has been operating as an alternative food store for over 30 years. It has been serving Wolseley and Winnipeg as a place to find whole, fair trade, healthy, organic foods. It is also a long-running and successful model of community building, showing what people working collectively to meet their own needs, can produce. OP gratefully acknowledges funding support provided by The Co-operative Promotion Board of Manitoba.